I don’t have so many jackets in my wardrobe but the few that I have are worn over and over especially to work. What’s nice about jackets is that it gives you a lot of variety in terms of outfits…you can pair it with jeans for a sportier look or with more official looking pants if you want to look more “serious”. 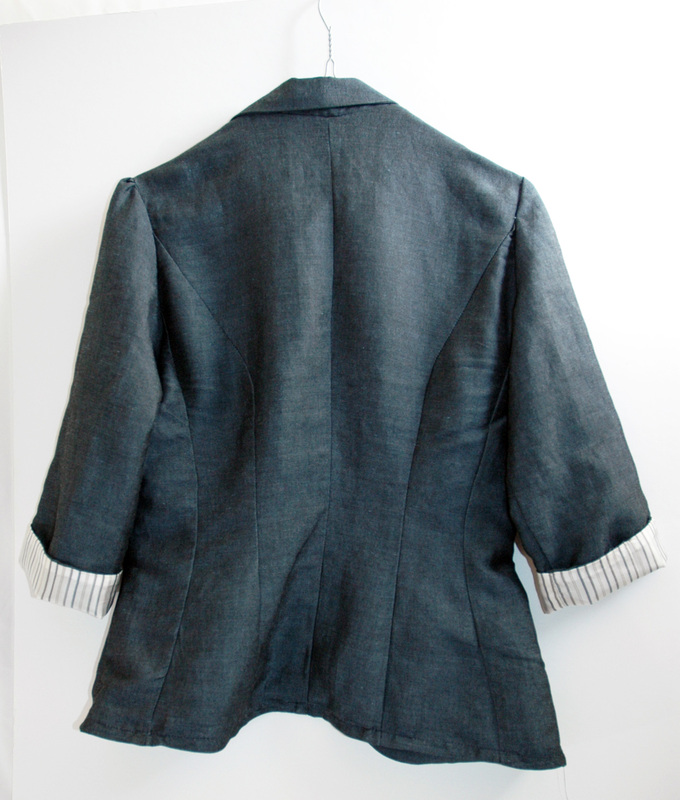 I have this summer jacket made of linen which I love because of its shape and how it sits on me. I also love that it is made of linen. However, its season is pretty short because of the short sleeves. 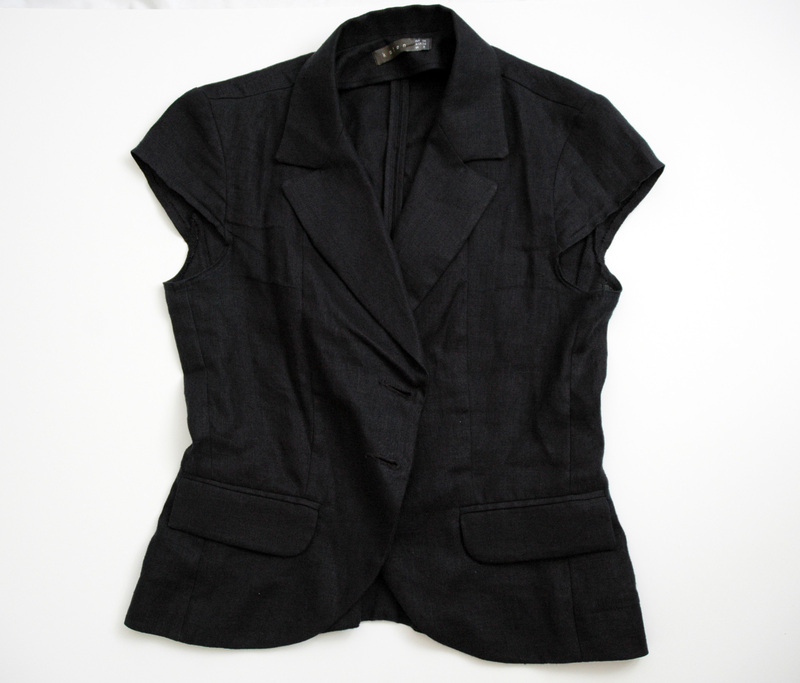 I wanted to make a jacket that has the same shape in terms of styling but had longer sleeves. 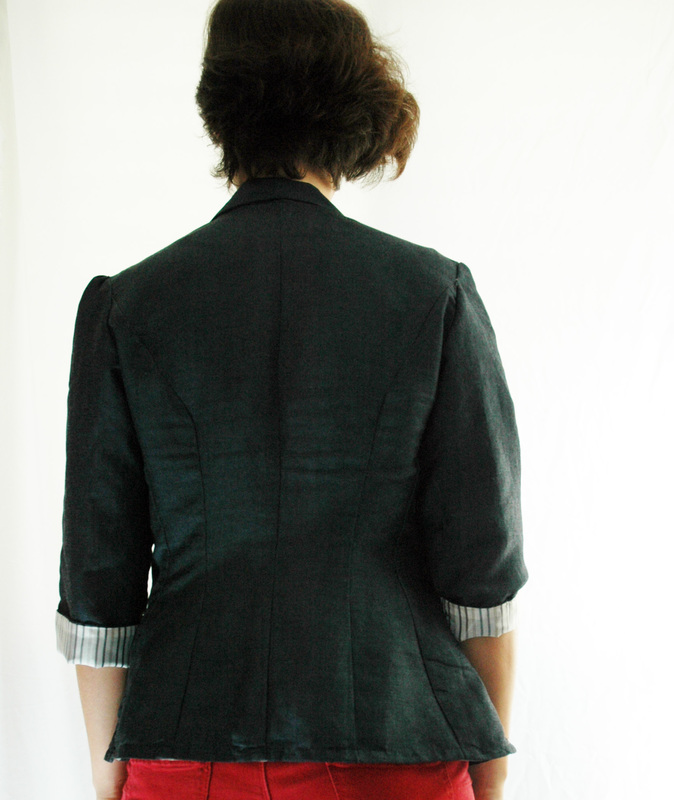 So I made the new jacket from linen and did not use jacket lining except for the sleeves. 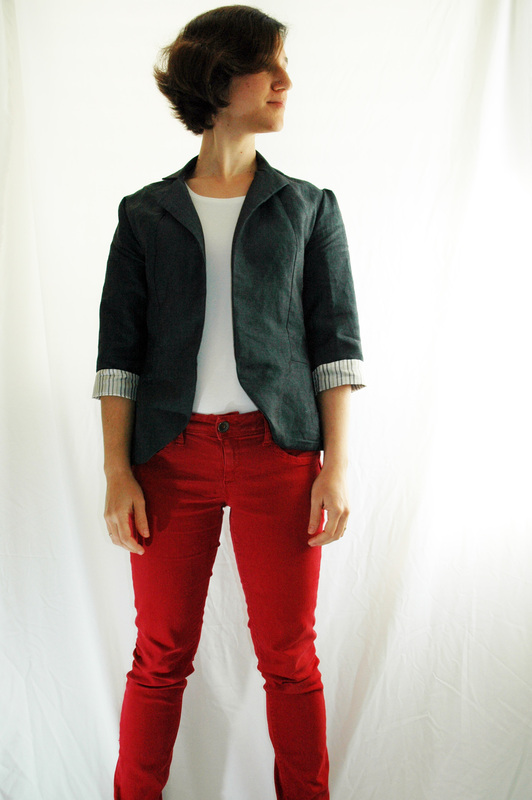 I love jackets that have colorful or striped linings inside. 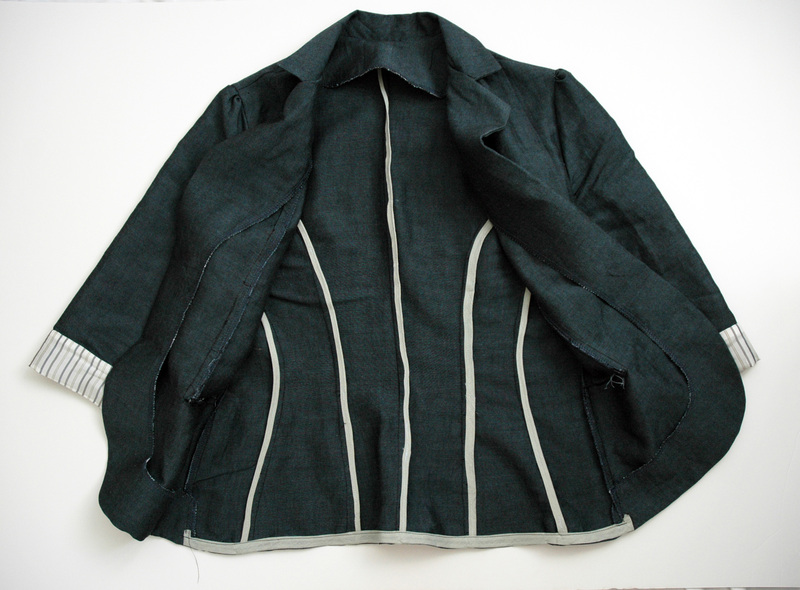 For this jacket I used striped lining with soft colors for the sleeves. 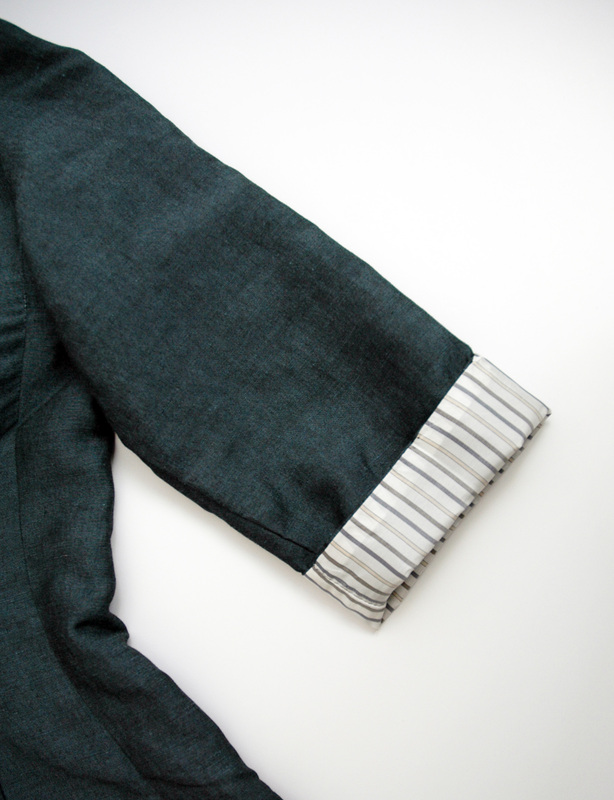 Also, I wanted to use the sleeves folded so that the lining would be visible. 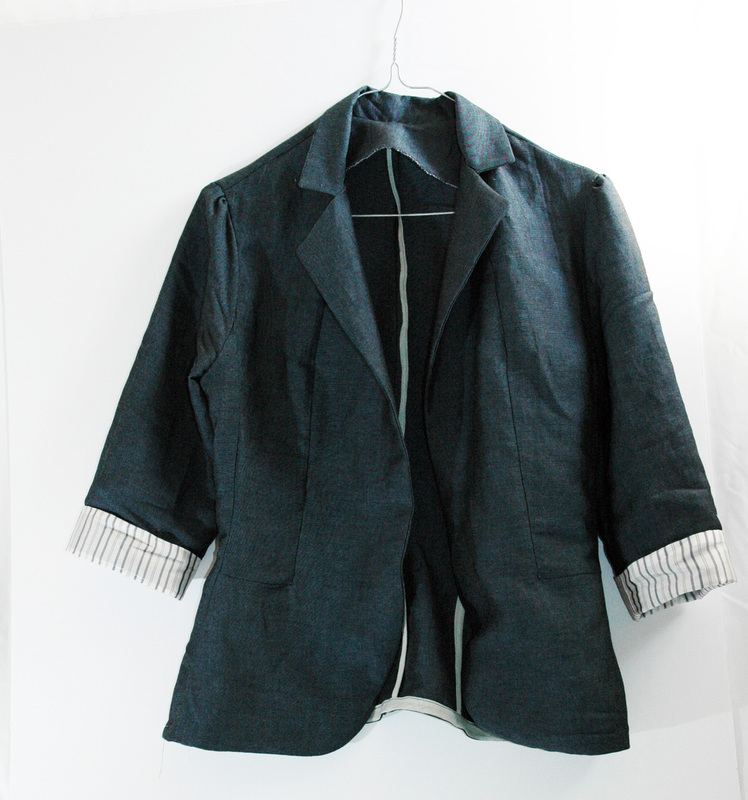 Since I did not use lining for the jacket, I used greyish bias binding tape to give a cleaner look inside the jacket. Overall, the jacket was complicated in both drafting the pattern and sewing, especially the bias binding tape took a long time, but it was definitely worth it.